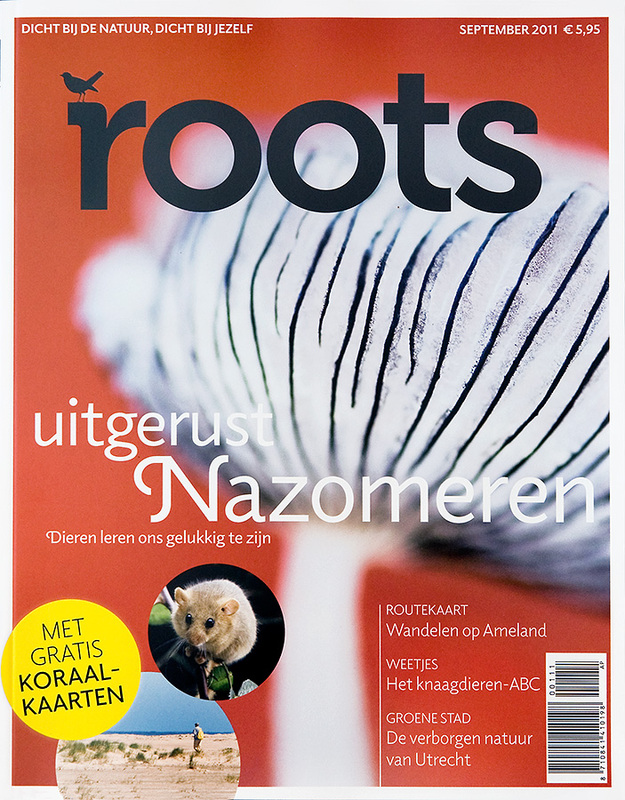 The Dutch magazine Grasduinen has transformed into a new magazine, called Roots. Now the very first edition has appeared and you can probably imagine the happiness of Misja when telling you that the picture on the cover is one of her toadstools! 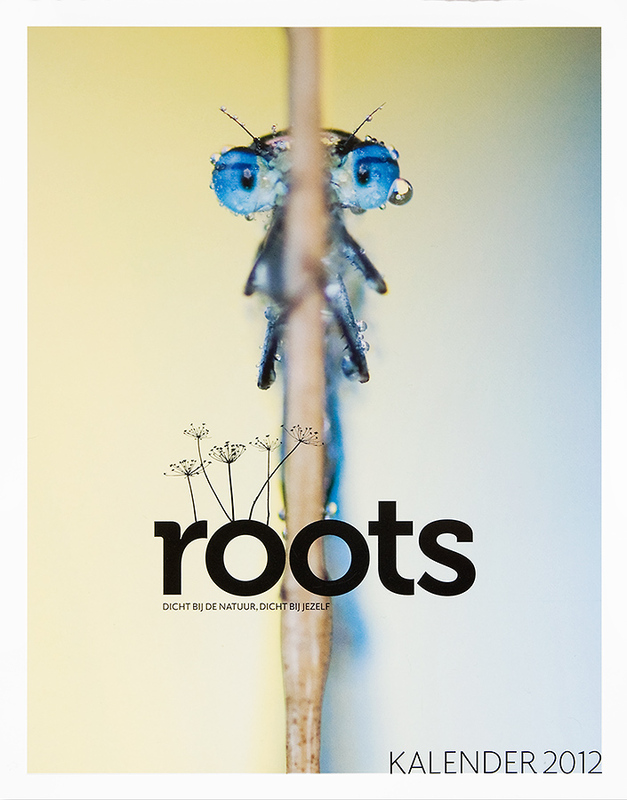 Roots has chosen a picture of Misja for their first calendar of 2012. What an honour! 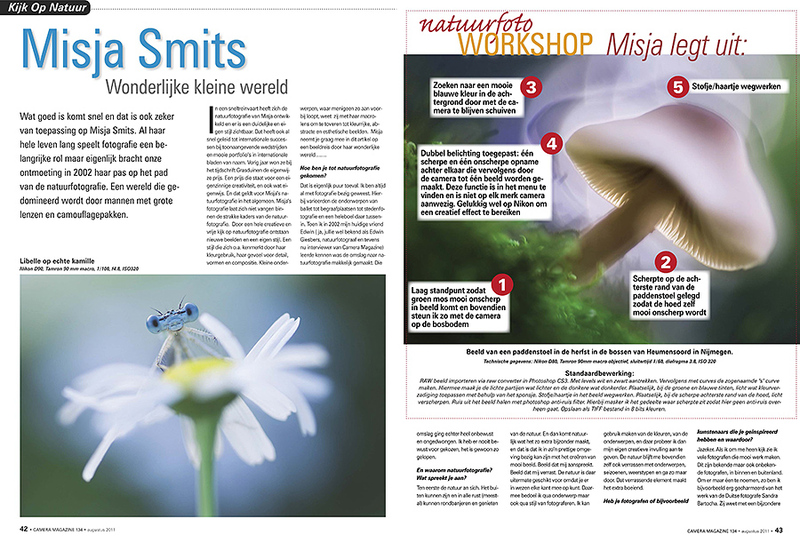 The Dutch magazine Camera Magazine has published an interview of 7 pages featuring Misja and her macro photography.